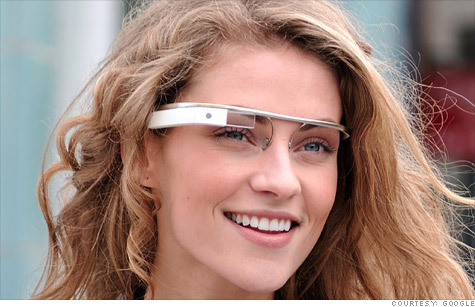 Google glasses , an awaiting virtual augmented product from GOOGLE is all set to make it mark in the market. The software device ,which takes all the functionality of a smartphone and places it into a wearable device that resembles eyeglasses. It can be made to fit in to your lenses. The operating system software used in the glasses will be Google’s android. It sounds like some Sci-fi movie, but it is not. Instead , you can check your mails, Facebook, browse website and do lot more . The glasses appear to have 2.4GHz 802.11b/g/n Wi-Fi — though one of the FCC’s filings only reveals 802.11 b/g Wi-Fi, so it’s hard to say for sure — and the latest Bluetooth 4.0 Low Energy technology on board. Another conflict we’ve noticed is the charging method, as one filing lists a USB charger and another lists a “barrel” connector. SO here it is !! Hope u like it ..Reply back then ! !